Quality products in a functional design that meets your specific needs; all at moderate cost. 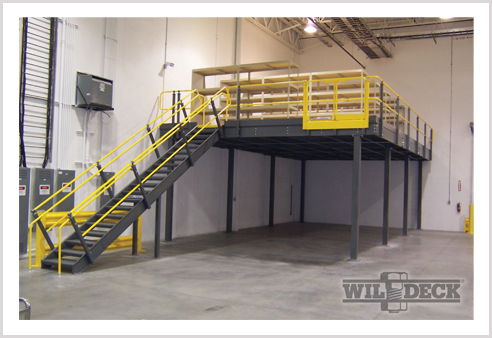 For years, the experienced design and engineering team at Morrison Company has created mezzanines using standard design elements from Wildeck® to fit the very particular needs of our customers. The extensive line of standard products are manufactured with the same industrial steel and engineering excellence as their custom products to assure the reliability and confidence Wildeck users have experienced for nearly 40 years.